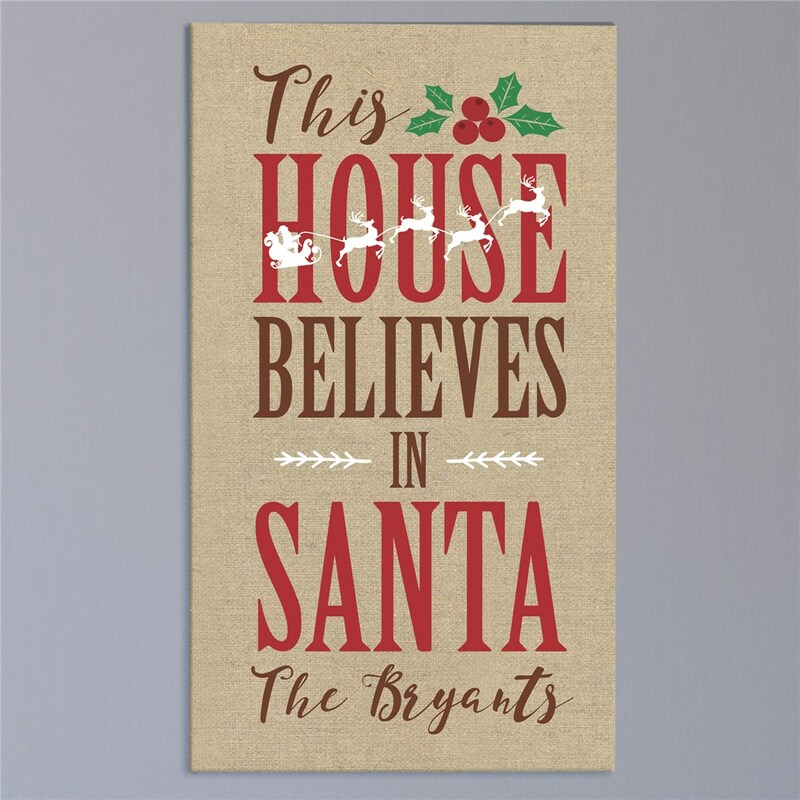 There's no doubt your house believes in Santa with this canvas hanging from your walll. We'll custom personalize this personalized Christmas Wall Decor with any family name below the exclusive design. Makes a great accent piece when hung on the walls of your home.